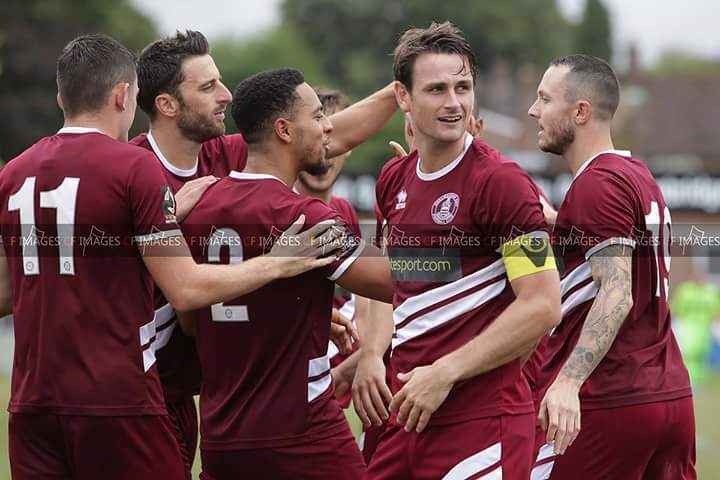 Chelmsford City registered their first win of the season with an emphatic victory at Hungerford Town. Joe Anderson’s delightful free kick put the Clarets ahead but it was not until after the half-time interval that City embarked on their rampage. Anthony Church doubled Chelmsford’s lead with a fierce strike two minutes into the second half. Two goals in two minutes, from Rhys Murphy and Michael Spillane, put the result beyond doubt. The hosts saw captain James Rusby sent for an early shower as he picked up a second yellow just past the hour-mark, moments later Scott Fenwick extended City’s lead from the penalty spot. Tom Wraight put the cherry on top of an excellent day at the office as he slid a low effort under Jokull Andresson late in the second half. City boss Rod Stringer made three changes to the side that lost 1-0 at Dartford. Swapping 3-5-2 for 4-4-1-1, Jazzi Barnum-Bobb, Max Porter and new signing Chris Whelpdale entered the starting eleven ahead of Matt Young, Amos Nasha and Jai Reason. The Clarets came close to opening the scoring very early on but the chance went begging. Whelpdale directed a header down to Fenwick, who in-turn switched it to Murphy, but the striker’s volley went marginally wide. Whelpdale almost scored a debut goal on fifteen minutes but his powerful header went over. The tricky winger came close again shortly after, but his low effort took a deflection and went wide. As City dominated the opening stages, Murphy should have opened proceedings but his low effort produced a strong save from Andresson. Whelpdale’s clever touch just outside the area drew a foul from Matt Jones and Anderson stepped up to open the scoring. The full-back’s left-footed freekick curled past a wall and cushioned against the post. Whelpdale came close to heading Barnum-Bobb’s cross home but the delivery flew agonisingly wide before Church struck over as the game reached half-time. Having missed chances in the first half, City boss Rod Stringer clearly spoke positively as Church doubled Chelmsford’s lead three minutes into the second half. Wraight’s right wing freekick picked out Whelpdale inside the area, but his header cannoned over with a deflection. But the chance was not wasted as City scored from the subsequent corner. The hosts failed to clear and, as the ball fell to Murphy, the striker twisted past a defender and struck low under Andresson to put City 0-3 up. The Clarets added a fourth two minutes later as Spillane controlled well inside the area before directing a deft lob over Andresson from close range. Former City defender Marvel Ekpiteta’s foul on the hour-mark almost cost Hungerford a fifth, but Fenwick was beaten to Wraight’s freekick by an Andresson punch. The Crusaders were reduced to ten men on 65 minutes when Rusby fouled Fenwick, with Referee Scott Jackson brandishing the skipper a second yellow card. Two minutes later Whelpdale came agonisingly close to scoring the debut goal that he deserved, although his header cannoned off the crossbar. But City were awarded a penalty when Murphy skipped past a defender’s challenge, although the striker was knocked down by Andresson’s diving tackle. 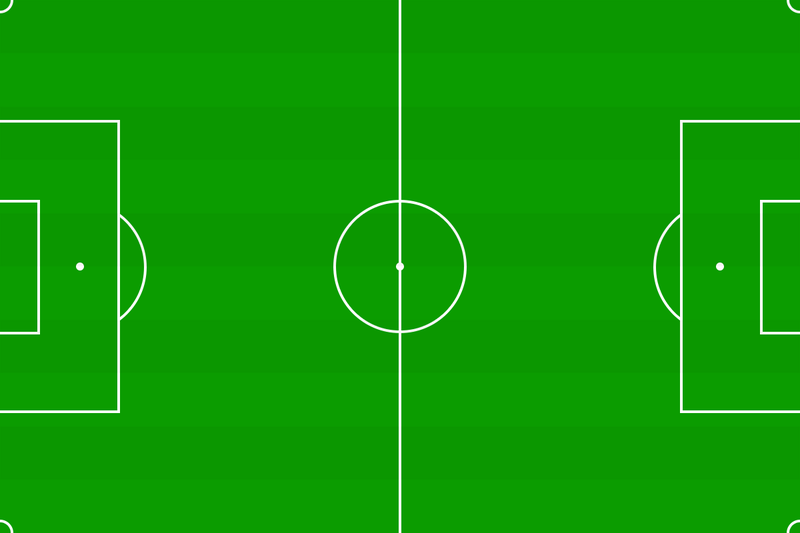 Fenwick stepped up and fired home his first goal of the season with twenty-one minutes still to play. With the result well and truly confirmed, Stringer opted to make all three changes as he replaced Fenwick, Murphy and Whelpdale with Jai Reason, Shaun Batt and Matt Foy. Harvey Bradbury had a superb chance to score a consolation goal from a rare Hungerford attack, although the striker ballooned over from close range. Wraight eventually closed proceedings with a late sixth goal for City, sliding a low shot under Andresson as Chelmsford returned home from Berkshire with all three points from a dominant performance. Hungerford Town: James Rusby (52', 65'), Marvel Ekpiteta (82'), Harvey Bradbury (90'). Chelmsford City: Max Porter (84'). Hungerford Town: James Rusby (65'). Chelmsford City: Joe Anderson (34'), Anthony Church (48'), Rhys Murphy (57'), Michael Spillane (59'), Scott Fenwick (69' pen), Tom Wraight (88').